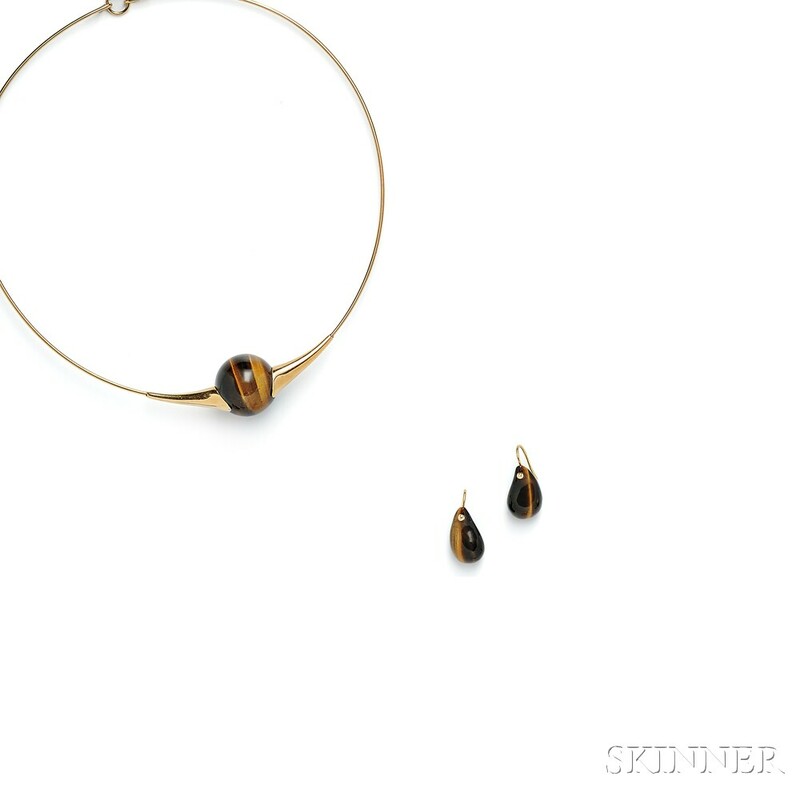 18kt Gold and Tiger's-eye Quartz Necklace, Elsa Peretti, Tiffany & Co., the torque set with a large tiger's-eye bead, interior cir. approx. 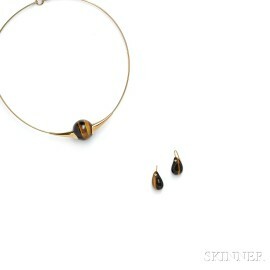 14 1/4 in., signed, together with a pair of earpendants, lg. 5/8 in.